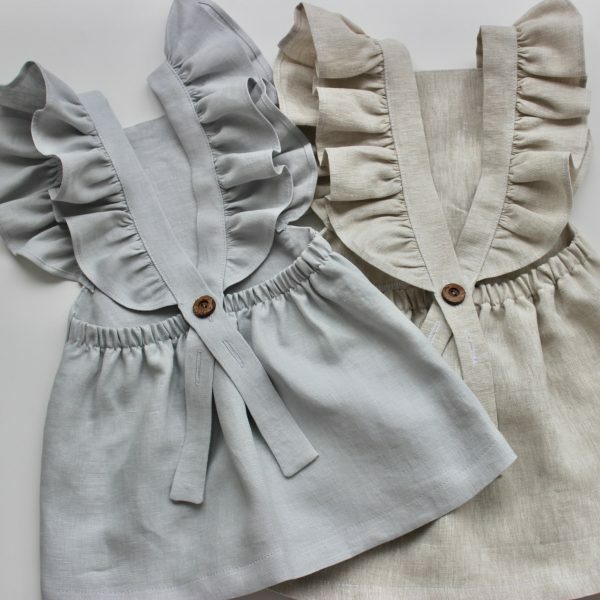 Simple mediterranean style with our natural linen dress. With added frills for a little extra detail, team with tan sandals for the ultimate Summer look. As these dresses are designed to grow with your child, come Winter add a chunky knit and tights for a sweet and stylish look.